Mark Lanegan's voice is not one that can be easily associated with electronic music - Ralf Hutter he ain't - there's something intrinsically very earthy about his (brace yourself for a dubious cliche) bourbon-soaked tones that immediately associates him with the folk-born traditions of Americana. Consequently, it's somewhat peculiar to hear Lanegan lending his ever-so-slightly ghoulish voice to a Bomb The Bass track. 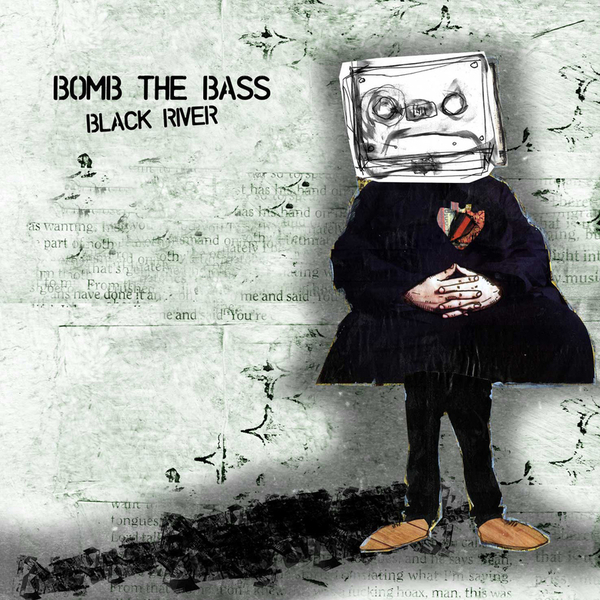 If you can take the initial shock of hearing the ex-Screaming Trees vocalist accompanied by synthesizers and drum machines, you'll find a rather lovely pop song at the heart of 'Black River', although there's probably a good case to be made for the Maps remix as the key track here; it imposes a melodic presence that was only skulking in the background on the original, and takes the track to an almost euphoric extreme. Patrice Baumel opts for less ambitious, more generic microhouse passages, whilst Gui Boratto supplies a great ending to the EP with some twanging guitar riffs and a tuneful 4/4 progression.